My college advisor was not joking when he told me that everything in London is expensive. I just thought he meant the food. But nope, just coming upon my third month in London, I came to the harsh realization that nothing comes cheap in this city. Nevertheless, even though your Pret a Manger hot chocolate might cost £5 pounds, a day out in London doesn’t necessarily have to cost you all that money that you made at your summer job. 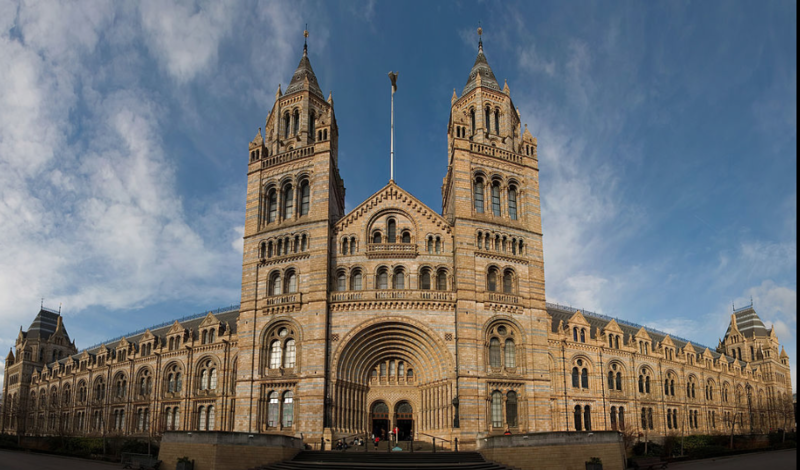 Yes, you will encounter some ridiculously expensive places in London, but the good news is, the majority of these tourist attractions are either free or have discounts. From the city’s ornate parks, to world-renowned museums, pristine palaces and alluring attractions, your stay/visit to London will be worth your while. One of the world’s oldest museums, the British Museum is just as vast as its collections. The museum has an impressive medieval collection, covering finds from across Europe from 300 to 1100 AD. 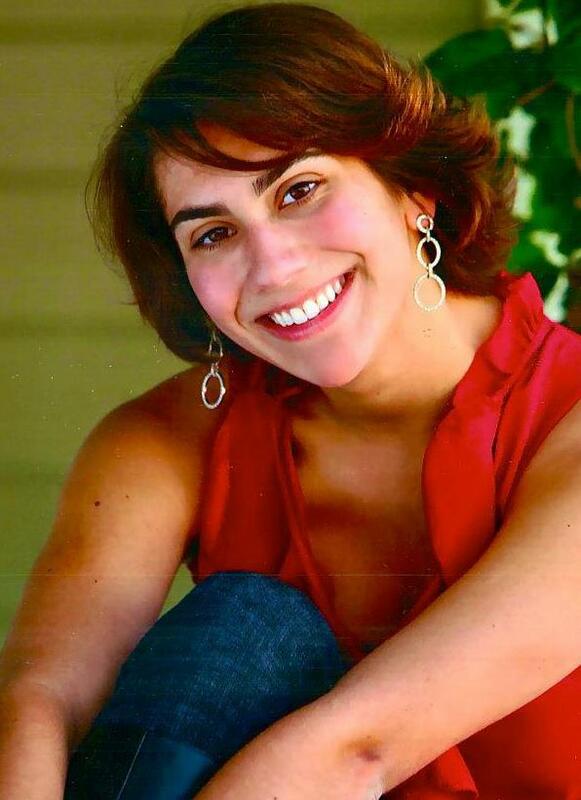 Featuring masterpieces from the Persian Empire and a gallery focused on the prehistory of Europe and the Middle East. What to head straight for: The mummies and the Rosetta Stone. The V&A is one (if not only) the most magnificent museum in all of London. 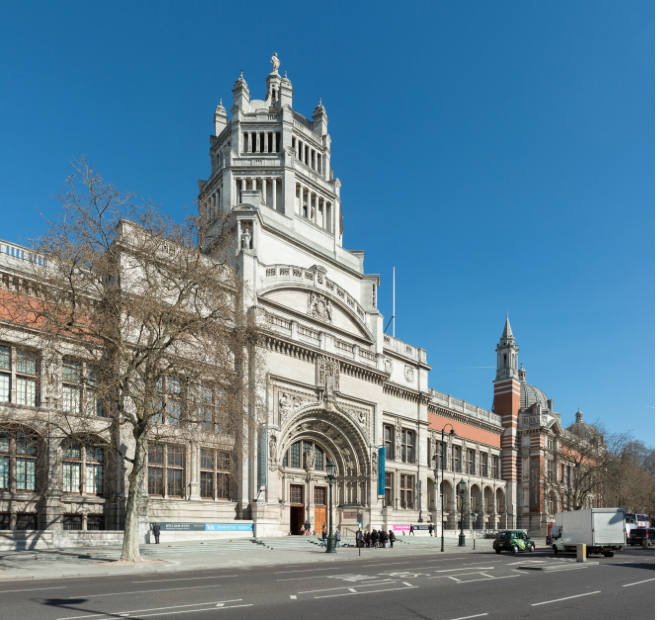 Its was founded by Queen Victoria who intended that the museum display a superb showcase for the selected arts found all over the world. There are 150 galleries, seven floors, each containing countless pieces of furniture, jewelry, ceramics, textiles, etc. The possibilities are endless when you step inside this eye-catching museum. What to head straight for: The seven Raphael Cartoons painted in 1515 as tapestry designs for the Sistine Chapel. Established both as a research institution and a gorgeous museum, the National History Museum takes up the full length of the vast entrance hall with the cast of a Diplodocus skeleton. The west wing of the museum displays animatronic dinosaurs and prehistoric fossils. A turn to the east wing leads into the insect exhibition. What to head straight for: The Giant Sequoia tree and the escalator that leads you into the exhibition of the earth’s core. 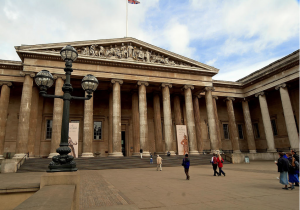 The National Gallery and the National Portrait Gallery are both different buildings attached to one another that displays their own forms of artwork. 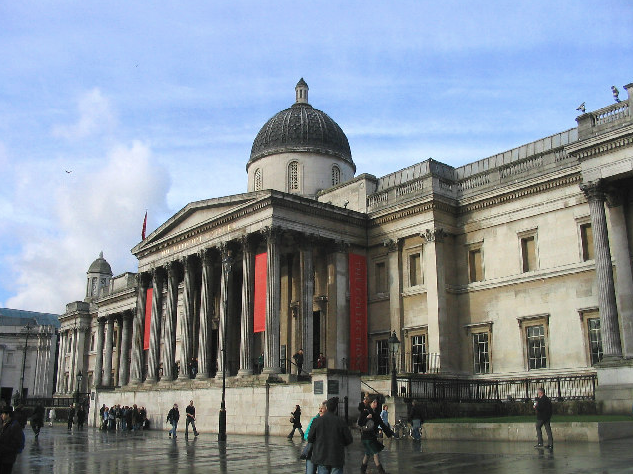 Founded in 1824, the National Gallery/ Portrait Gallery is the home to more than 2,000 works. In the National Gallery, you can view Italian Renaissance masterpieces by Correggio, Titan and Raphael. At the National Portrait Gallery, you can behold the portraits of past monarchs of England, tracing back to the Plantagerant’s. To gaze upon these works is truly an unforgettable experience. What to head straight for: At the National Gallery, you can view Monet’s water lily paintings and Van Gogh’s sunflower painting. 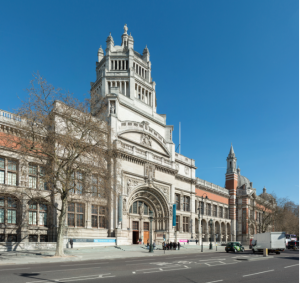 At the National Portrait Gallery, head up to the Tudor Gallery and witness the original coronation portrait of Queen Elizabeth I.
Hyde park is one of the largest Royal Parks in London. Originally appropriated in 1536 by King Henry VIII for hunting deer, the park finally opened to the public in the early 1600s. Here, London’s oldest boating lake, The Serpentine, is at the bottom of Hyde park, home to ducks, swans and feathery grebes. What to head straight for: The Albert Memorial, which was commissioned by Queen Victoria in memory of her beloved husband, Prince Albert. 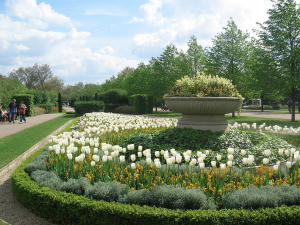 Regent’s Park is one of London’s most popular open spaces. Another hunting ground claimed by Henry VIII, it was later formally designed in 1811 by John Nash. But it wasn’t until 1845 when it was officially opened to the public as a spectacular shared space. Various foods and music festivals pitch up at Regent’s over the summer as well as numerous finely manicured rose gardens in the spring. 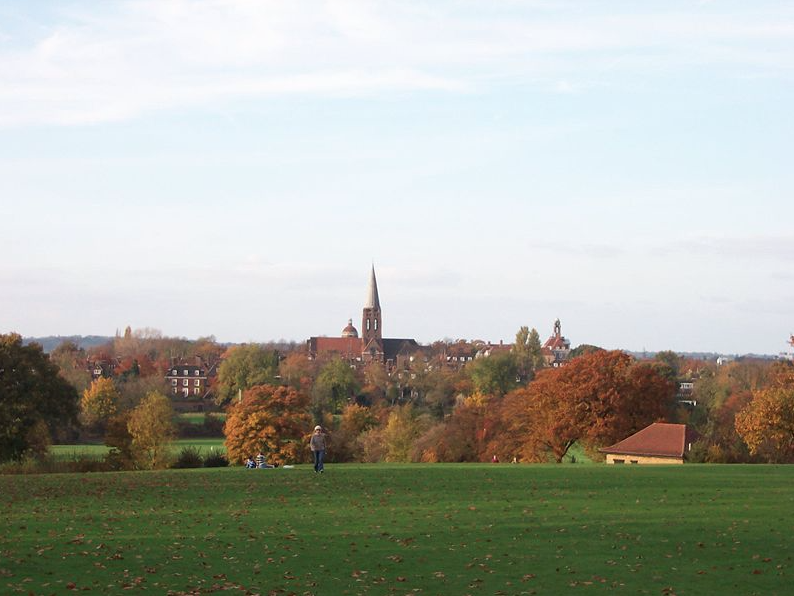 Compared to London’s other parks, Hampstead Heath are wild, grassy and untamed. 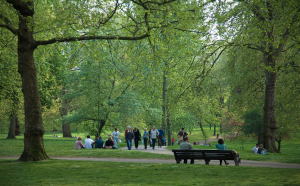 While Regent’s and Hyde Park have manicured lawns and flowerbeds, Hampstead Heath gives visitors a true rural feel apart from the city. On hot summer days, the Hampstead Ponds are perfect for a refreshing dip, while the heights of Parliament Hill provide the perfect pilgrimage for kite-fliers on breezy days. 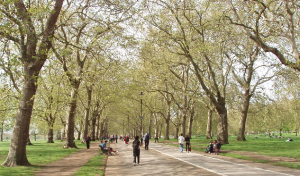 Green Park was enclosed by Charles II in 1668 as\ – you guessed it – yet another hunting ground before being opened to the public in 1826. Today, the mini park plays host to commuters and tourists. 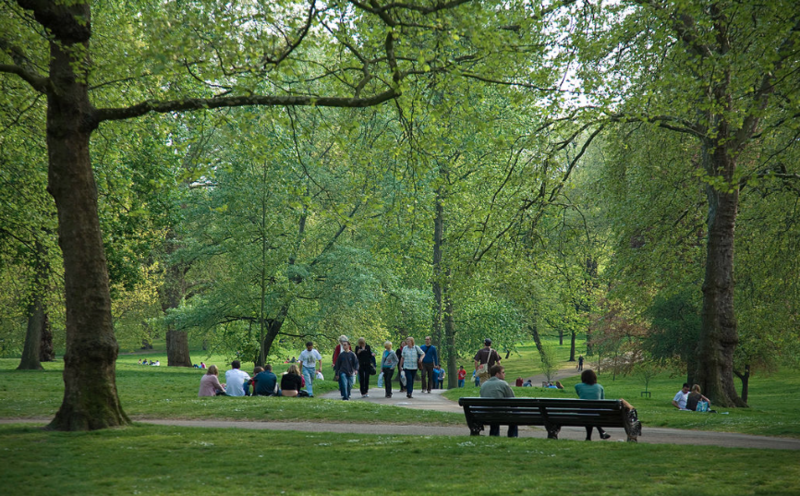 With its alluring stripy deck-chairs, Green Park will make you feel like you’re in the very center of London. 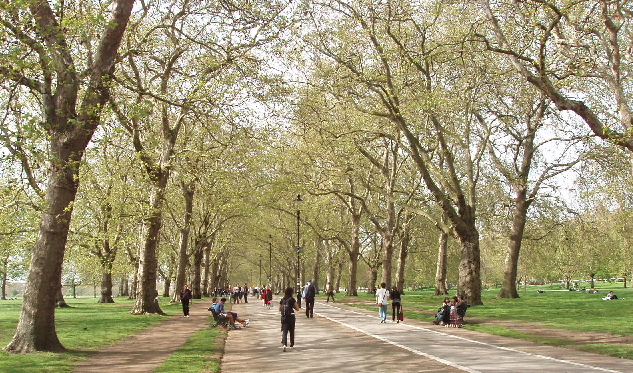 What to head straight for: Buckingham Palace is just on the other side of the Park. 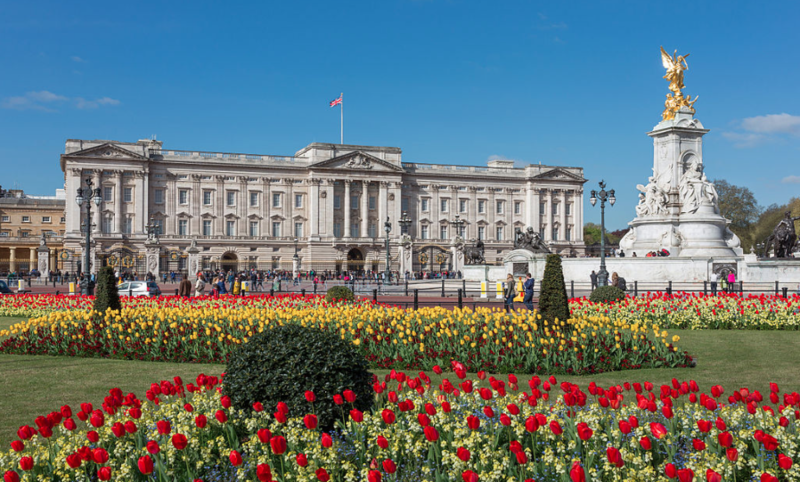 Besides Big Ben and the London Eye, there is really is nothing more iconic and more British than feasting your eyes upon the extraordinary Buckingham Palace. The Palace is more than 300 years old and people from around the world have visited and taken their picture in front of the grand gates of the palace. 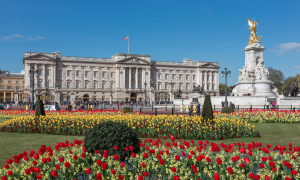 Normally, Buckingham Palace isn’t always open, but during the summer you can visit the interior while the royal family is away on vacation (although it will cost you £27.75). Besides, it’s much more fun to take a picture in with the stoic royal guards who patrol the palace. The Abbey Road zebra crossing is famous worldwide as the spot captured on The Beatles Abbey Road album cover. In April 1969, the group came to Abbey Road recording studios to make their final album. 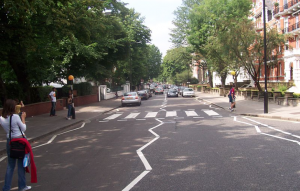 The studio and famous zebra crossing are regarded as British music industry icons to this day. But be careful. Though many tourists attempt to take a photo of themselves crossing the famous street, Abbey Road is actually one of the most dangerous streets in London to walk across. What to head straight for first: Well, the Abbey Road zebra crossing of course! For any Sherlock or Elementary fan, the iconic, 221b Baker Street is the perfect hot spot for fans alike. If you visit 221b Baker Street today, you will notice that the famous 221b Baker Street is not technically speaking, located at THE 221b Baker Street. In fact, there is still no real address to 221b Baker Street, since the famous address was lumped in as part of a larger block of buildings earlier on in the 1930’s. 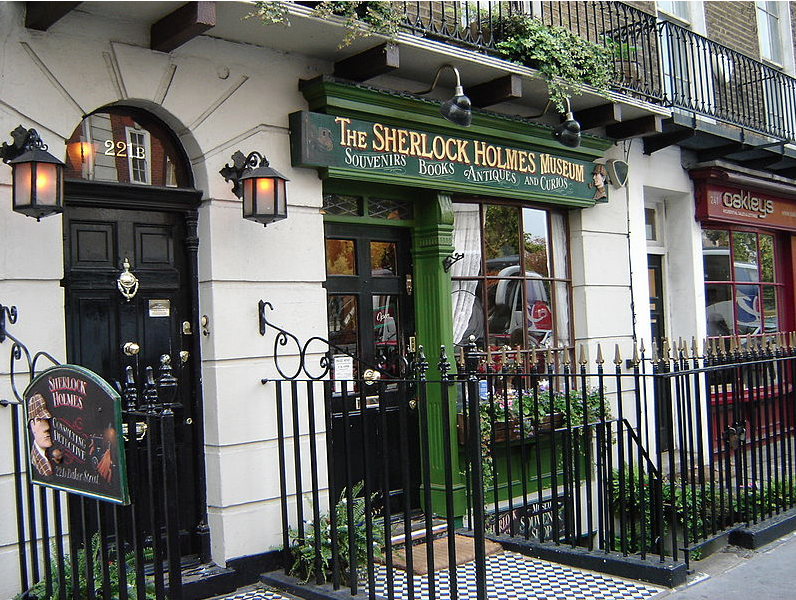 Nevertheless, when the Sherlock Holmes Museum opened at 239 Baker Street, the museum got permission from the city to build a full replica of Holmes’ flat, that bore the address 221b. 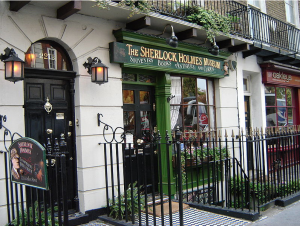 What to head straight for first: The porch to 221b. Of all the bridges over the River Thames, London Bridge (also known as Tower Bridge) has the longest history. 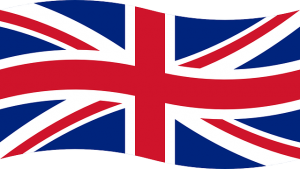 It was the only bridge in all of London until a second bridge was opened later in 1729. The bustling area around London Bridge is full of hotels, bars and many restaurants. The bridge is just a quick walk to Bankside, or to the historic City of London on the north side of the river. 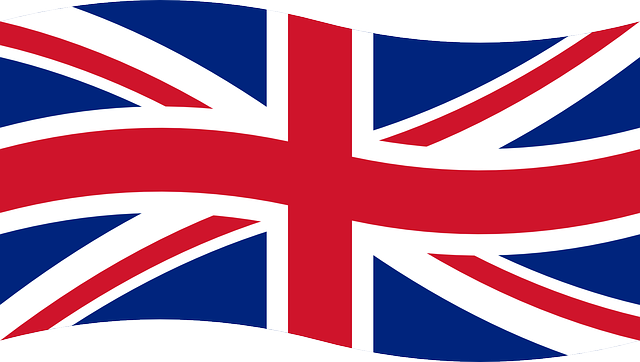 It is also just a short walk away from the historic Tower of London. What to head straight for first: Walk across the bridge but wait to witness when the bridge folds open to allow large cruisers to pass through it’s arches. So though London can be pricy at times, the city does know which attractions are best left open and free for the public. Ranging from the arts, to the tranquil, to the excitement, London gives its visitors the opportunity to explore its history without charging for the life changing experience.